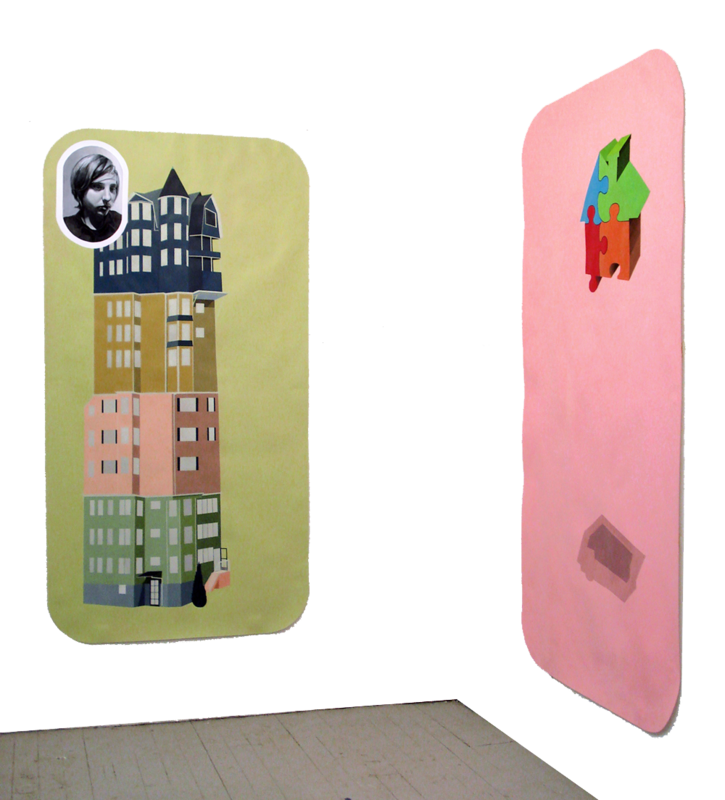 The Website of Alex Young: Artist / Curator. Worcester II was developed as a set of plans for an hypothetical architectural reconfiguration of the City of Worcester, Massachusetts. Having never lived in Worcester, and largely visiting the city simply to access its well stocked public libraries for unrelated research, I was less interested the city itself than as an icon possessing certain New England characteristics that were of interest to me: thrift, ingenuity, a decaying urban core, a populace invested in the commons, and so forth. The fact that it is New England’s second largest city, a large decaying post-industrial city, and a once shrunken worker-city increasingly reanimated by the spill of Greater Boston growth—combined with the aforementioned traits—made it a more exceptional case study than, say, Lowell or Fall River. This was intended to be part of a larger program acting in direct opposition to the automatic urban redevelopment responses of plotting placid cheap newness or half-hearted remuddling. Instead, I imagined that one might accelerate the logic of the preexisting, reeling in the sprawl, so as to condense the character of the city-as-it-is in an effort to accommodate its future characteristics. Similar to the manner in which nearby Providence, Rhode Island expresses its character by amassing the State’s historic cottages on College Hill; so too Worcester might express its identity through the vertical concentration of its iconic triple-decker housing stock. Given the narrow frontage and relatively tight placement, Worcester would be renewed in the manner of a sort of New England vernacular Arcology or Kowloon Walled City. As this statement has been written retroactively, the aesthetic program of this design may be likened to that of WAM Architects’ Intell Hotel (2008-2010) in Amsterdam-Zaandam, Netherlands. However, the civic and social program is decidely against simulacral posturing and touristic commodification of place. Perhaps a closer architectural design analog would be Suburban Stack (2010) from Loop-Pool/Saturation City by McGauran Giannini Soon (MGS), Bild + Dyskors and Material Thinking. However, as Worcester II proposes the physical uprooting, consolidation, and reconstruction of existing structures it perhaps most closely resembles the stacked dwellings of Rio de Janairo or houses-on-stilts of Tijuana in the suggested movement toward architectural reuse and a reduced urban footprint.